Geolica contact lenses comes with a beautiful 3-tone blended pattern and gives you an impressive look. Geolica Euro Lady Pearl Gray GS-A15, is a pair of lenses with a diameter of 14.2mm and a base curve of 8.6mm. It has a water content of 42% and is disposable in three months. Both the lenses have similar power, so you may need to buy two pairs if you have different power in each eye. 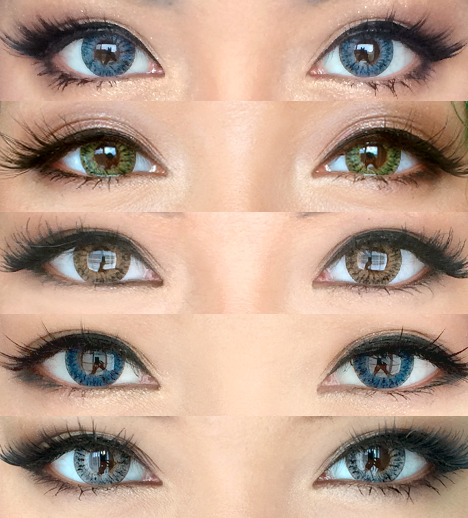 Geolica contact lens color is available in beautiful gray that can help you match if you have different eye colors and patterns.It's really bright enough to view in low light but is not too light or too dark. Also, these lenses do not have any hints of blue or grey.